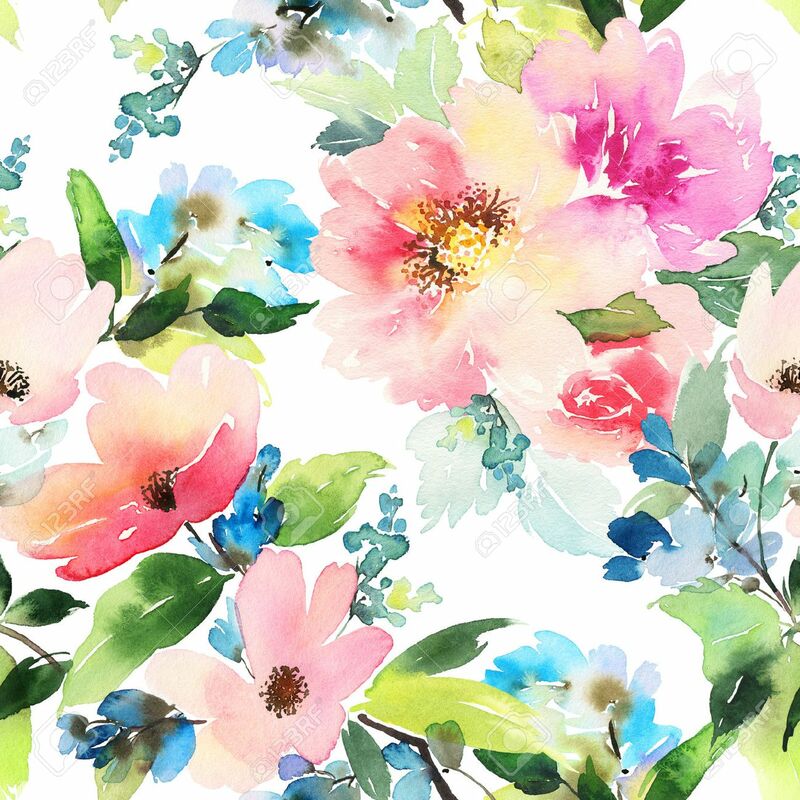 Seamless Pattern With Flowers Watercolor. Gentle Colors. Female Pattern. Handmade. Royalty Free Fotografie A Reklamní Fotografie. Image 49268113. Reklamní fotografie - Seamless pattern with flowers watercolor. Gentle colors. Female pattern. Handmade.